4 New Stamping Plates Just Arrived! We're proud to announce brand new collection of Stamping Plates! Get entranced by two fantastic plates specially designed for spring containing very beautiful repeating floral patterns. Two additional plates include a dream inspired design perfect for unicorn lovers and a Safari theme with gorgeous silhouettes. 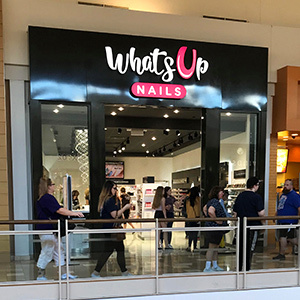 All plates available today on WhatsUpNails.com or in our store in Chandler Mall (Arizona, USA)! 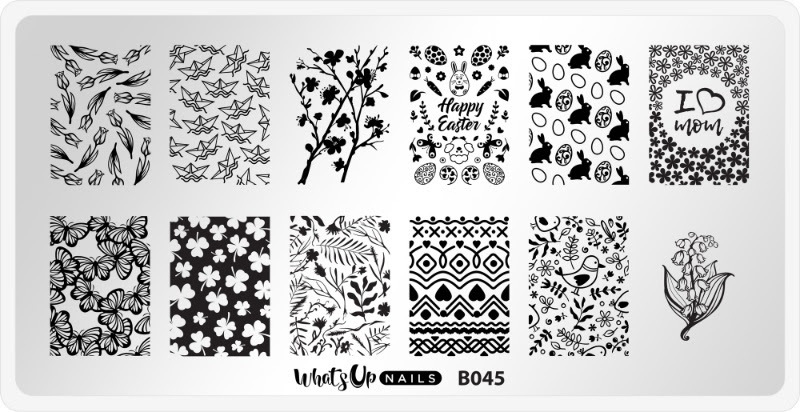 Latch on to spring and enjoy the growing beauty of our new stamping plate specially designed for spring nails. 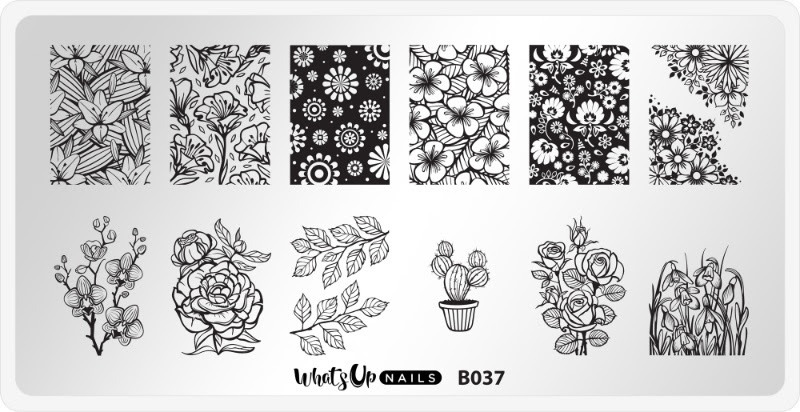 Adorn your nails with an array of floral patterns and an adorable cactus! 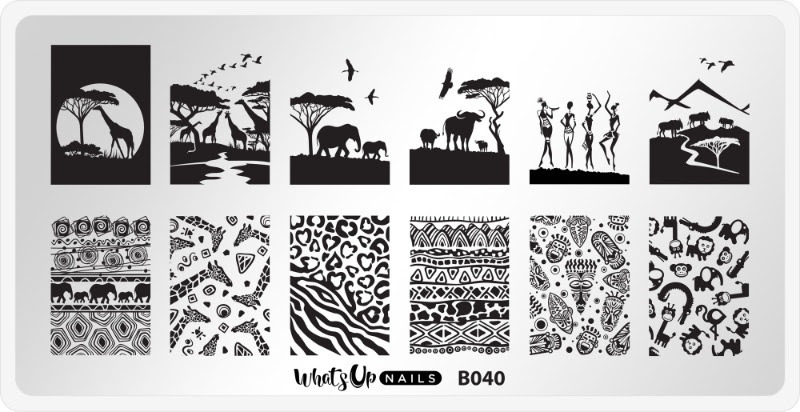 Ride along on an African Safari with our stamping plate that covers African patterns with a fantastic silhouette of a savannah scene including elephants, water buffalo and giraffes! Get ready to day dream yourself away to another planet with this stamping plate. 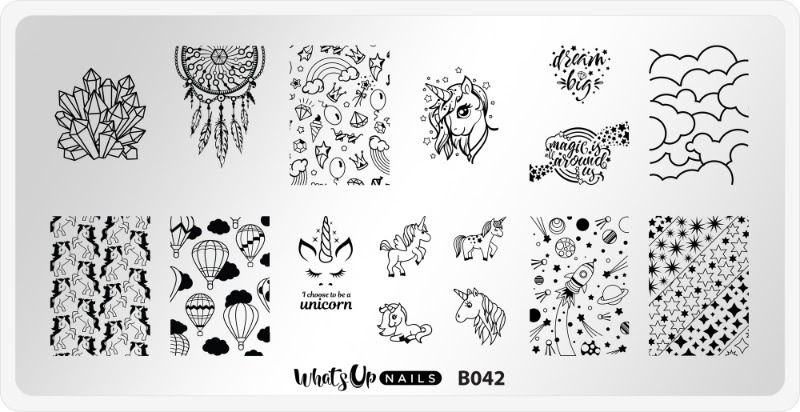 This delectable stamping plate will launch you into unicorn heaven and take you away for a balloon ride at the same time! Spring brings new beginnings and this stamping plate is covered in them. Enjoy butterflies, scenes with ferns and adorable bunnies with eggs. Enjoy a sprung spring with this plate!